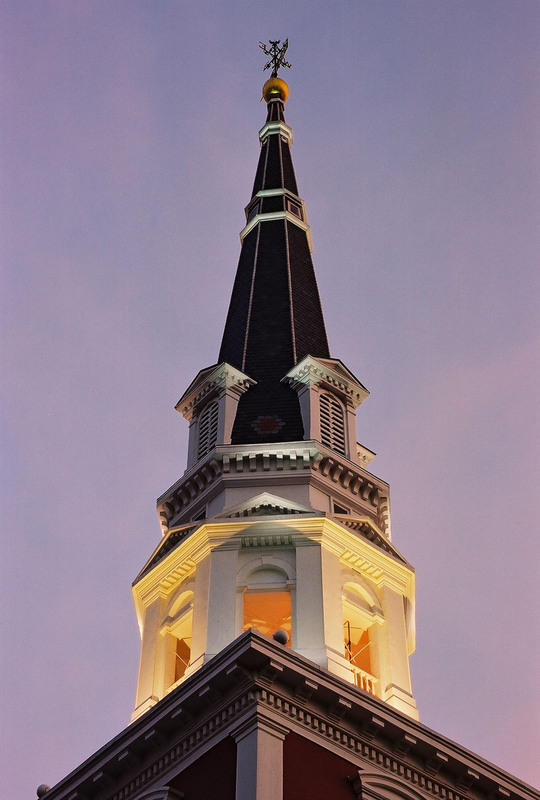 Charged with bringing this 1742 historic landmark into the 21st century to serve the diverse needs of today while preserving the heritage of a bygone era, we beautifully preserved the grandeur of the church sanctuary, built in 1851. Along with implementing changes to the chancel area and choir loft and adding a new lighting and sound system, of utmost importance was repairing and cleaning the magnificent stained glass windows – nine of which were made by Tiffany Studios between 1909 and 1923. Creating accessibility between the 1970s connection of the historic manse and sanctuary, we redesigned the rear portion of the planter to accommodate a ramp. Simple handrails are anchored to the new ramp itself, offering safety to visitors while preserving the integrity and beauty of the building wall. 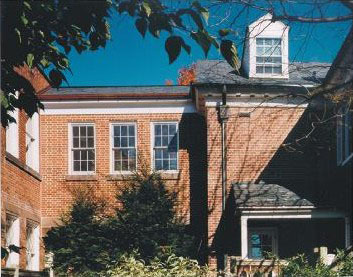 To connect the church’s education wing and elevator to the second floor of the administration building, we created a brick clad bridge with a sloping floor to accommodate both foot traffic and wheeled equipment. Special attention to window proportions and other bridge details ensure a seamless flow with the historic buildings. 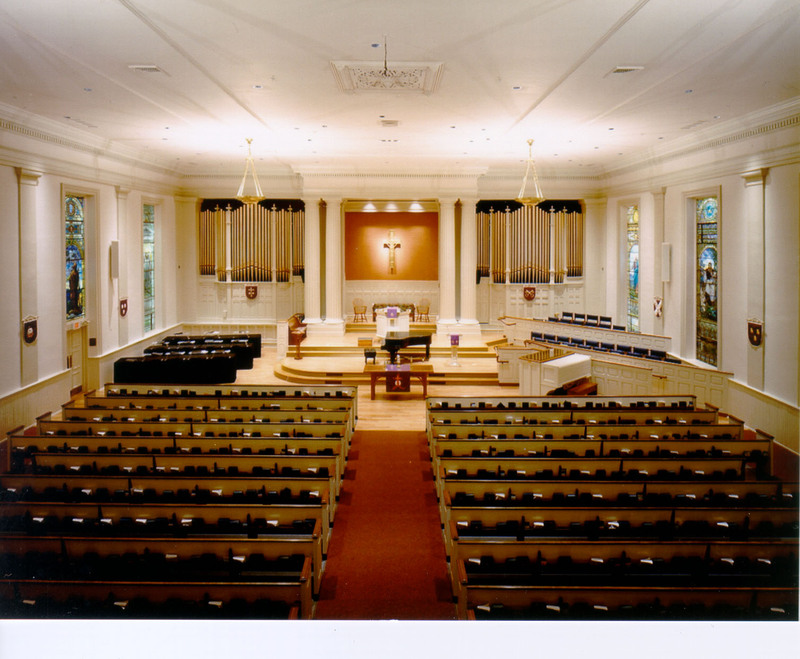 By creating a master plan model with removable pieces, we were able to study the development of the existing property while also encouraging interactive meetings with the building committee and congregation. 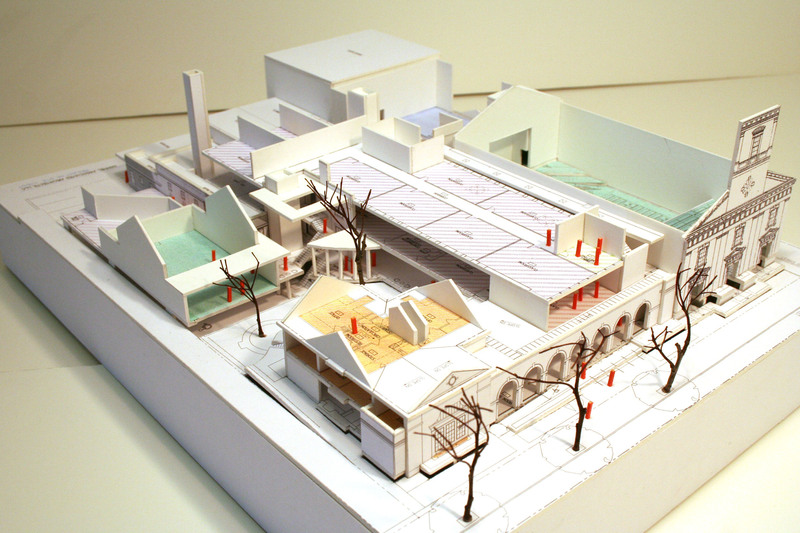 The model features proposed expansions, including an addition over the parking area and an additional story over the entire building. Designs were reviewed with structural engineers to ensure affordable construction. 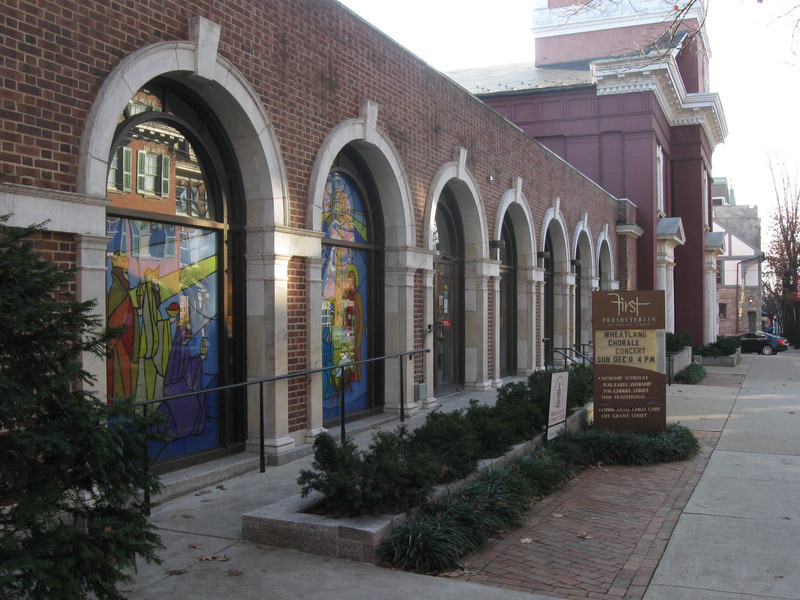 By using design details and proportions from the original architecture of the church, we were able to expand the narthex while maintaining its historic beauty. 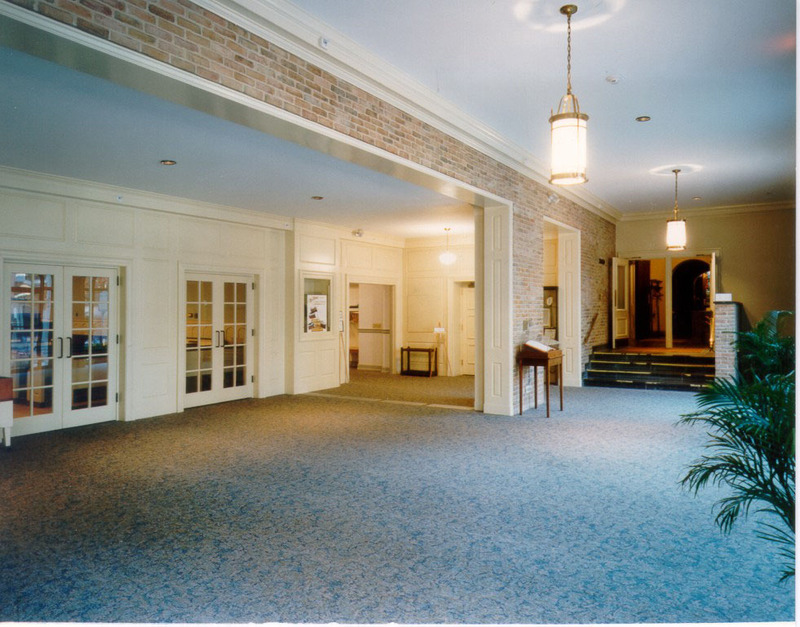 Now, this gathering space provides an inviting, well-lit area with ample room for congregants to mingle and move. 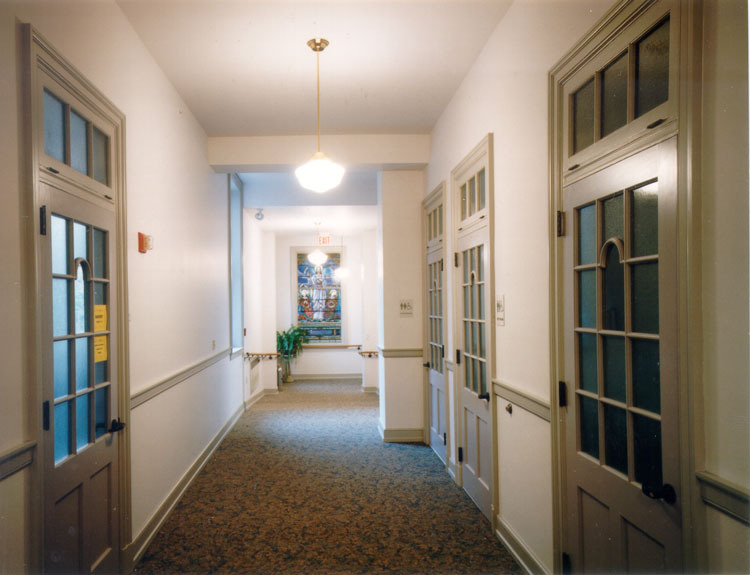 More than just a way to get from one place to another, the beautiful interior hallway connecting the education wing to the new rear entrance of the church features new doorways designed to match the church’s historic doors. Reproduction period lighting fixtures and stained glass windows relocated from renovated areas of the church add to the serenity of the space. An open, sweeping focal point at three levels, the new interior staircase turns a utilitarian area into an integrated architectural feature. 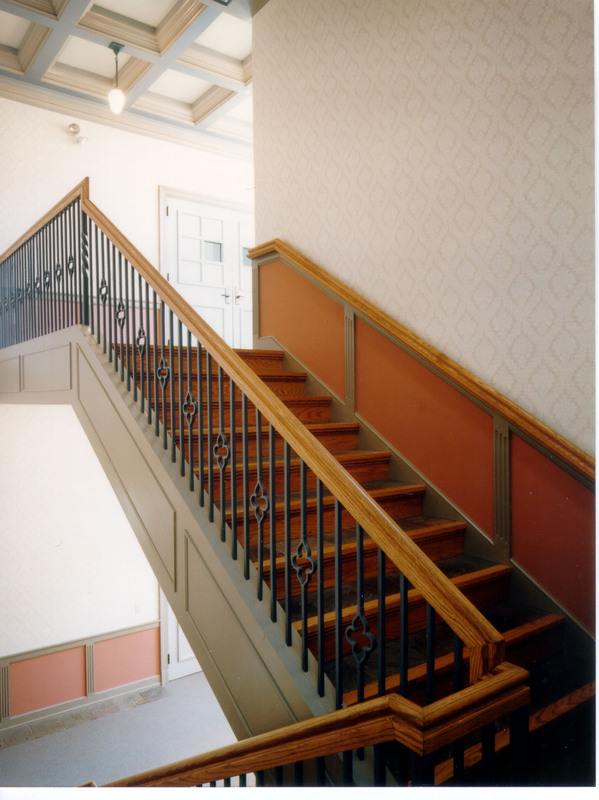 Historic references are seen in the details of the stairs, which were created entirely from readily available stock building components to make this both beautiful and cost effective.